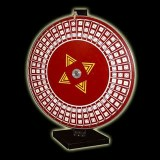 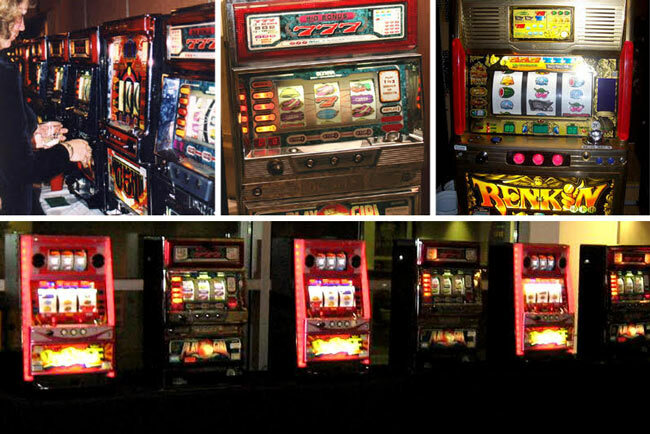 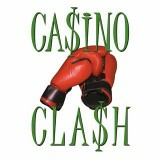 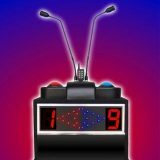 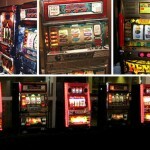 Casino-style entertainment featuring an exciting array of authentic, interactive games. 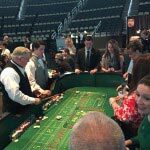 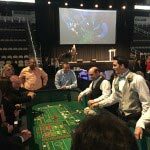 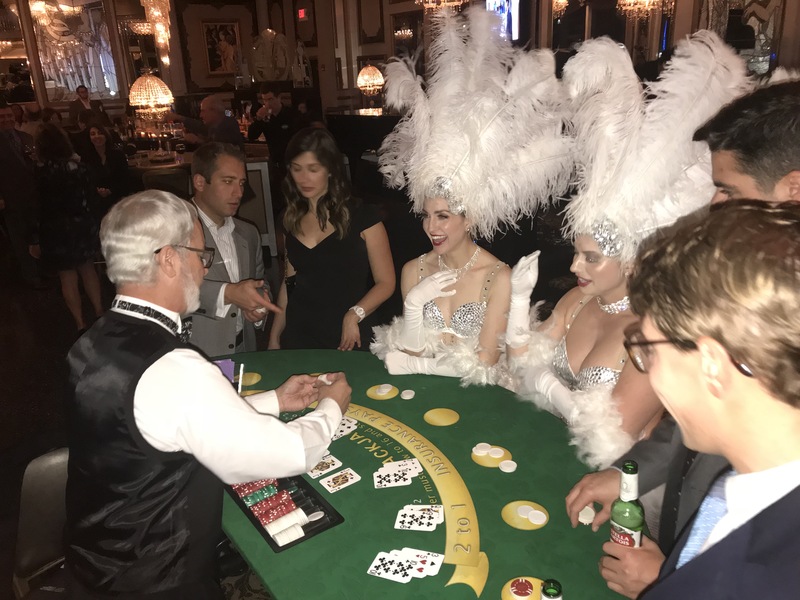 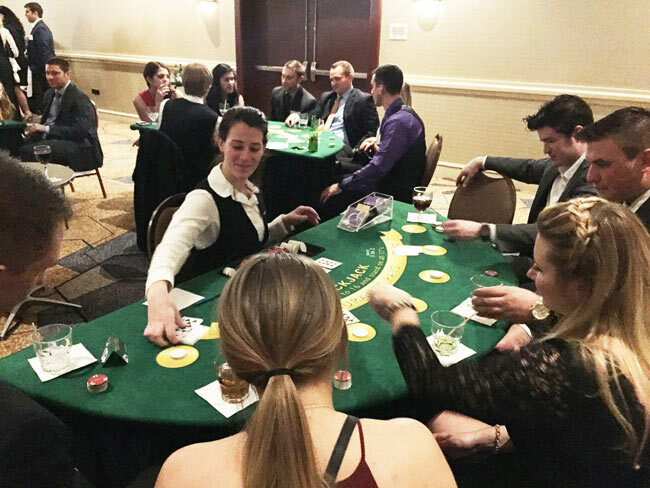 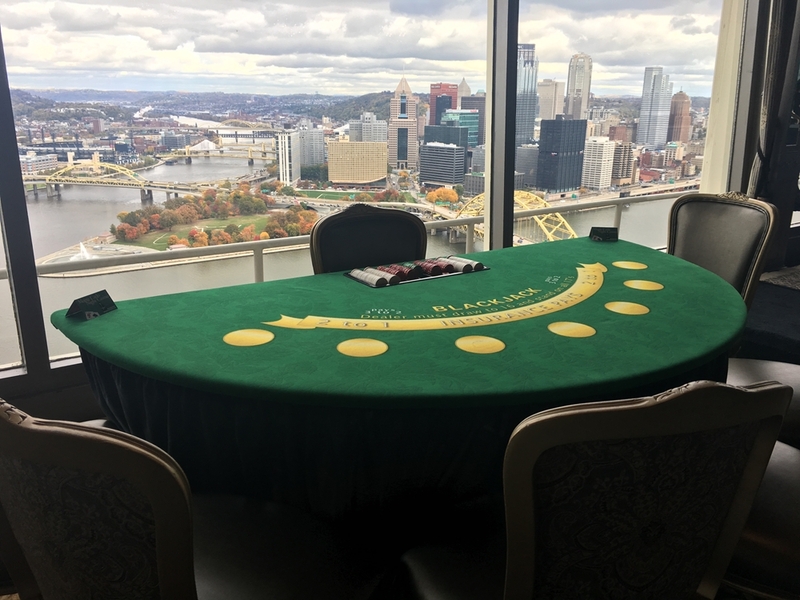 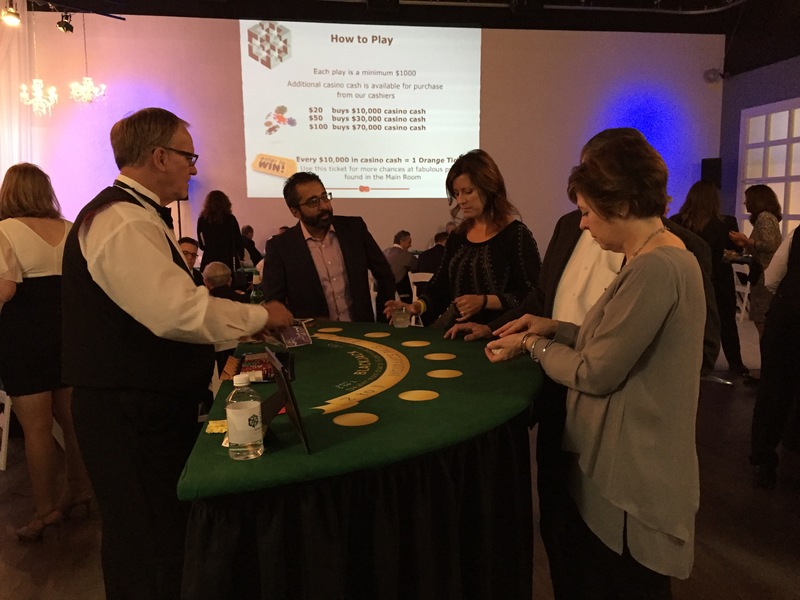 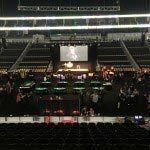 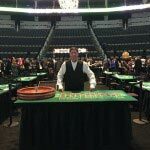 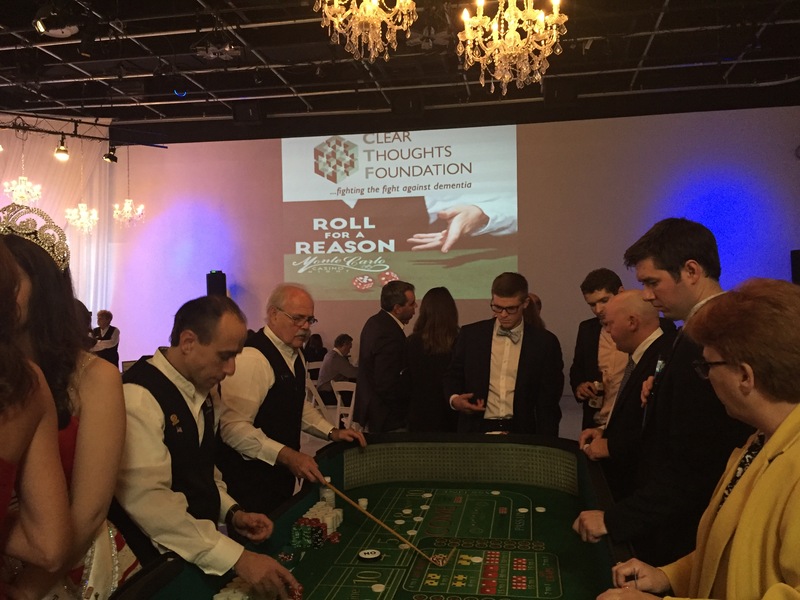 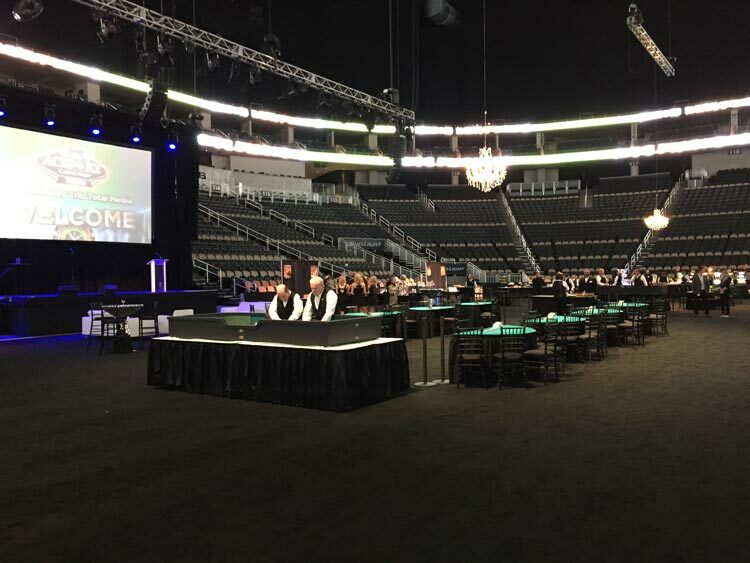 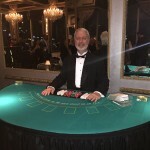 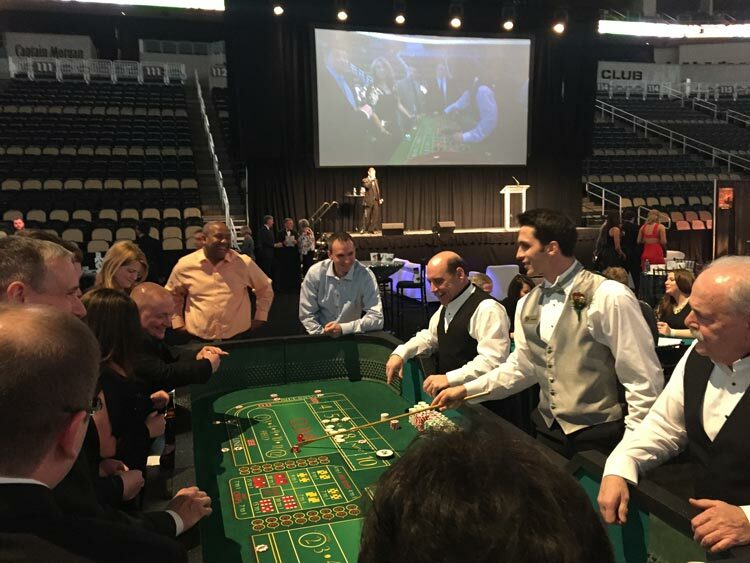 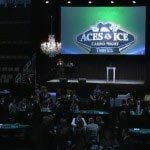 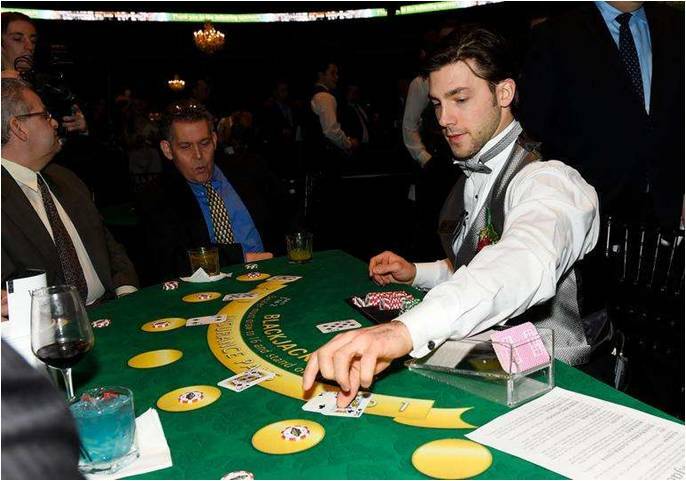 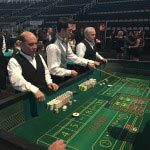 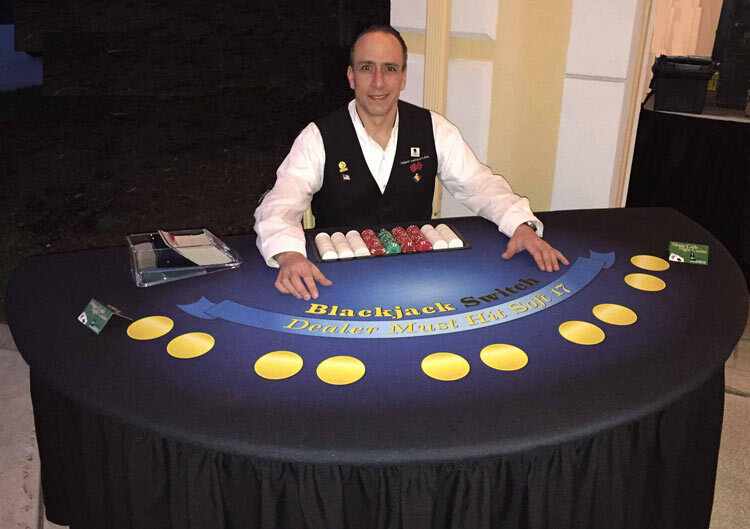 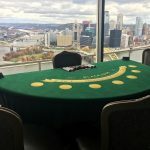 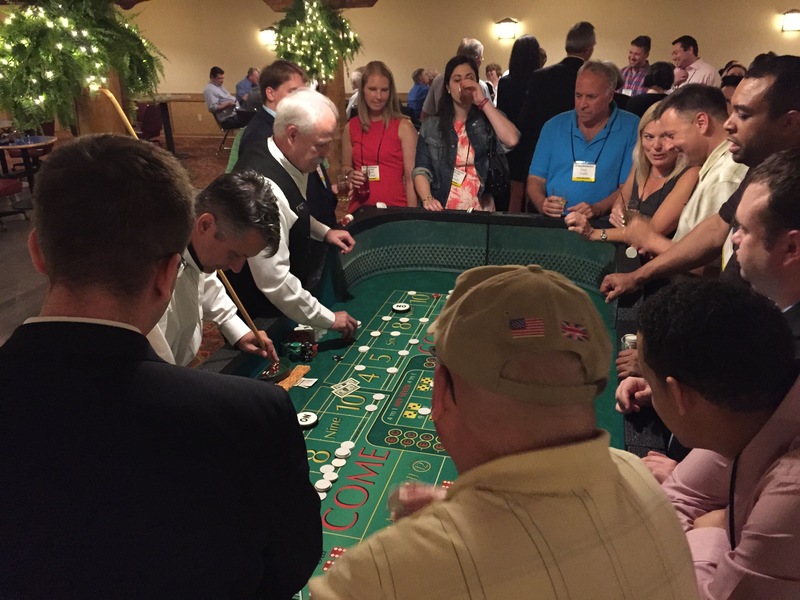 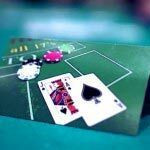 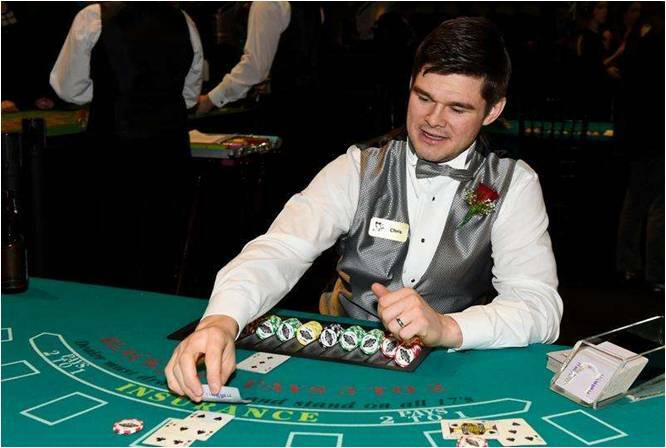 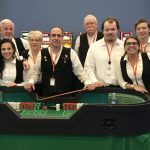 Our Casino Night Parties are our most popular and highly requested events, providing interactive entertainment as a successful way to entertain clients and employees. 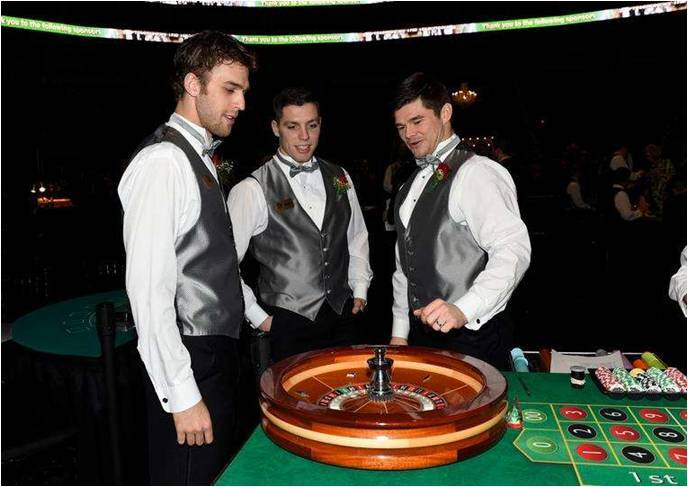 Casino Party packages feature your personal selection of our authentic Games – including Craps, Roulette, Blackjack, Texas Hold’em Poker, Let it Ride Poker, Big 6 and Horse Wheels, genuine Slot Machines, Cash Quiz and Casino Clash Trivia, along with newer additions like life-size Operation, Casino Plinko and our Custom Wheels. 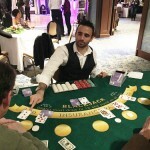 Guests receive a cash coupon at the beginning of the gaming event which they present to the dealer of their choice to be redeemed for $10,000 in play money or chips. 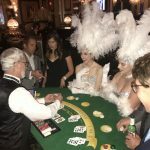 A minimum bet is $1,000. 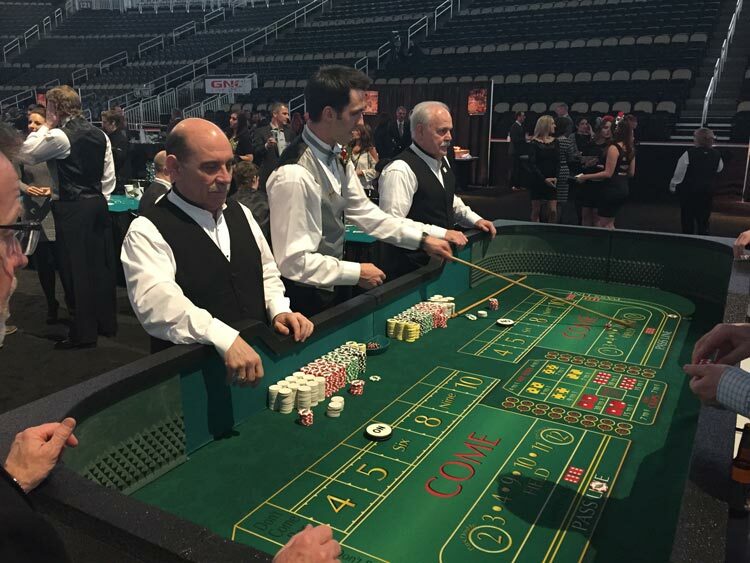 Guests use this play money to bet with at the tables. 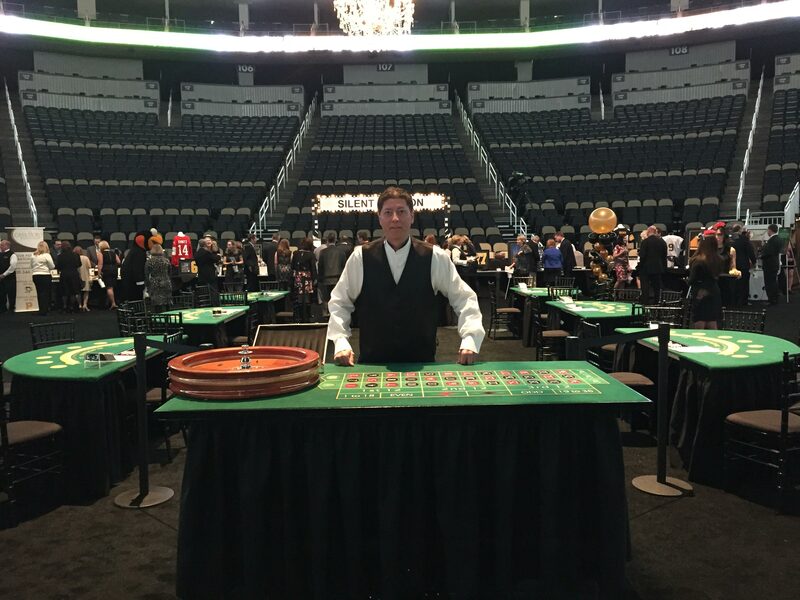 At the conclusion of the casino, dealers will convert guests’ play money winnings into raffle tickets good for prizes that you provide. 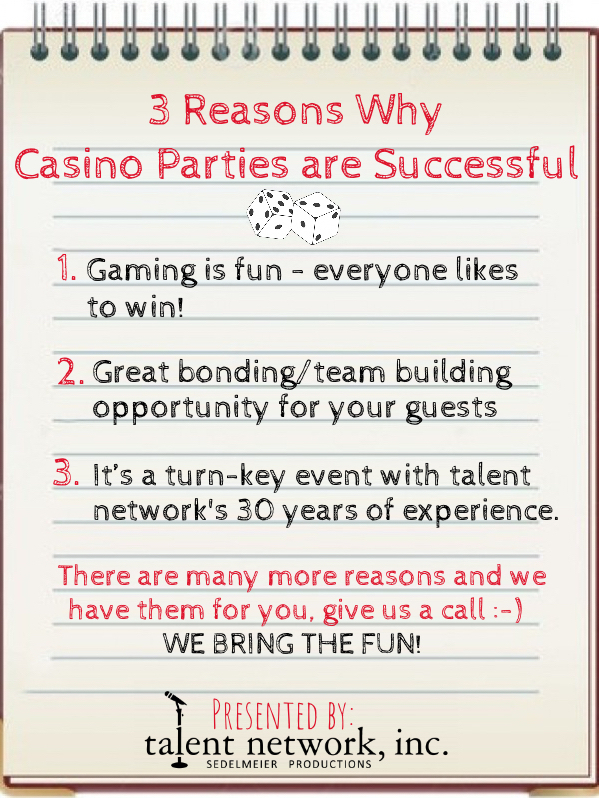 We use a 5 to 1 ratio conversion (for every 5 bills, guests receive 1 raffle ticket) with a maximum of 25 raffle tickets per guest. 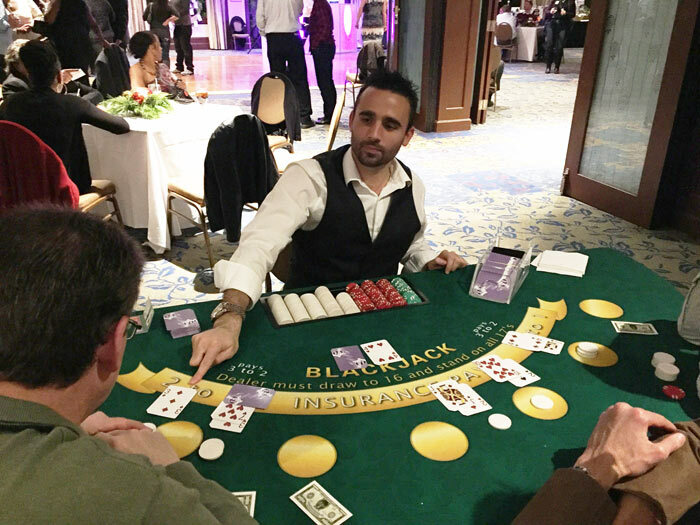 We provide double style raffle tickets that guests will split, keeping one half and distributing the other for chances at your prizes. 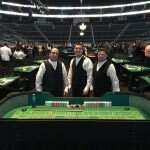 We offer package suggestions of a variety of sizes that would best accommodate the type of event you are hosting and amount of guests expected. 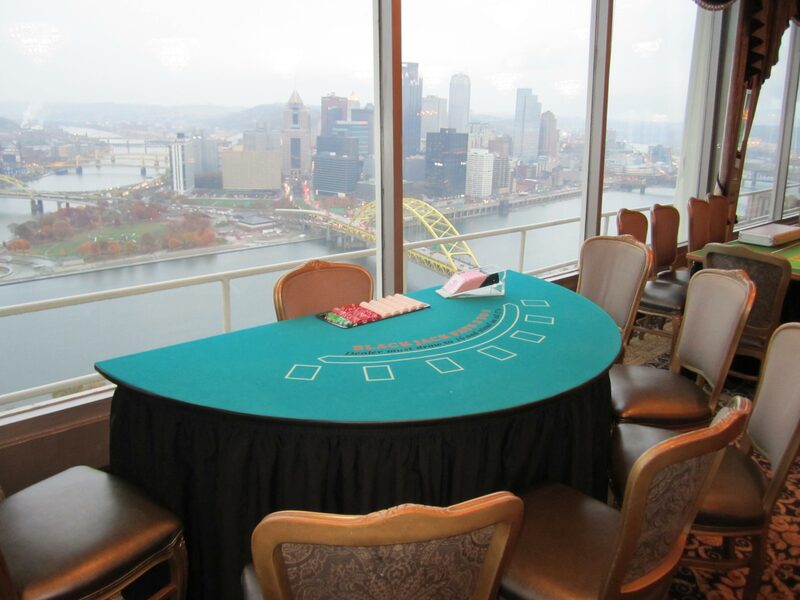 Our casino packages feature a mix of the most popular casino games and can be customized specifically to your needs. 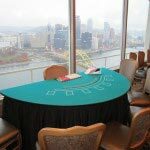 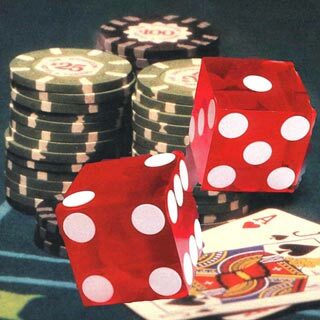 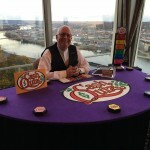 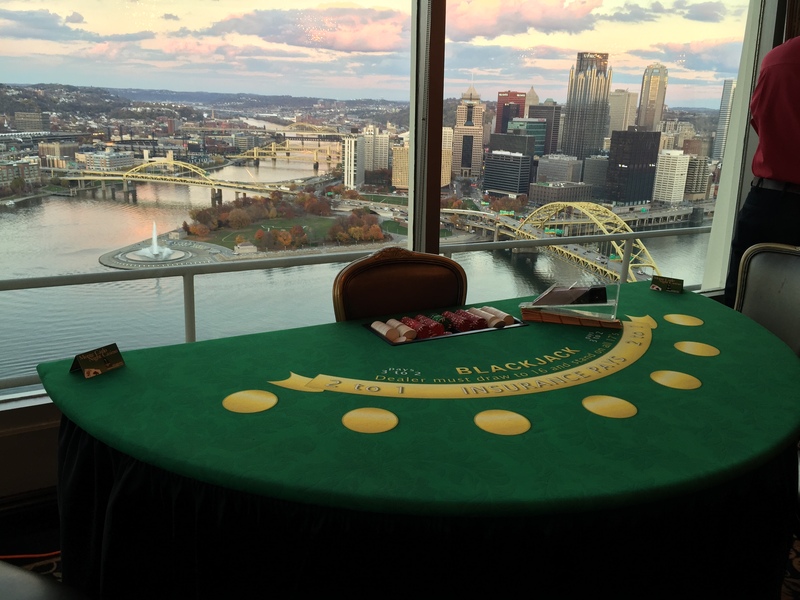 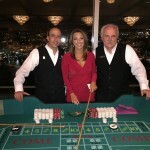 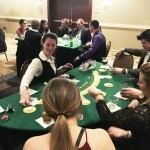 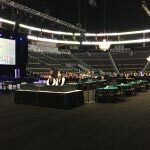 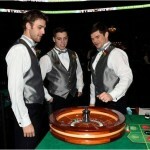 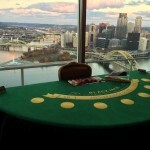 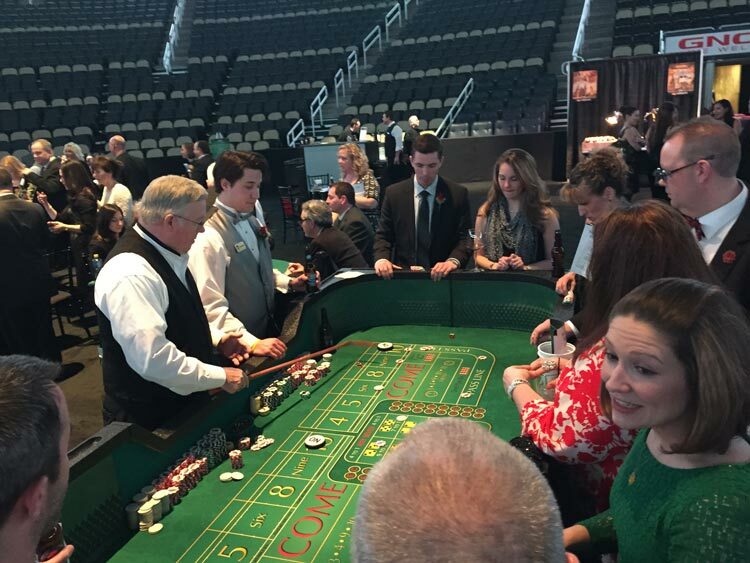 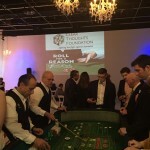 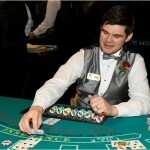 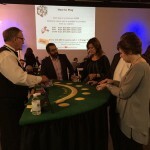 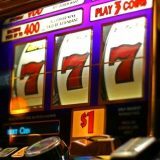 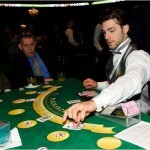 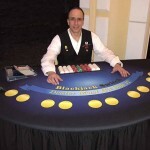 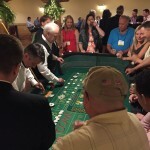 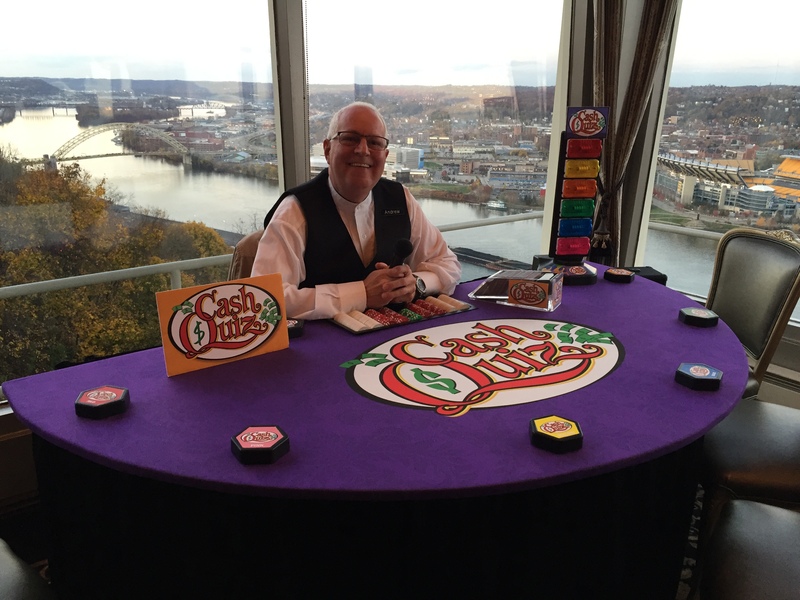 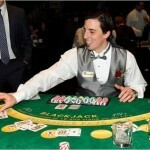 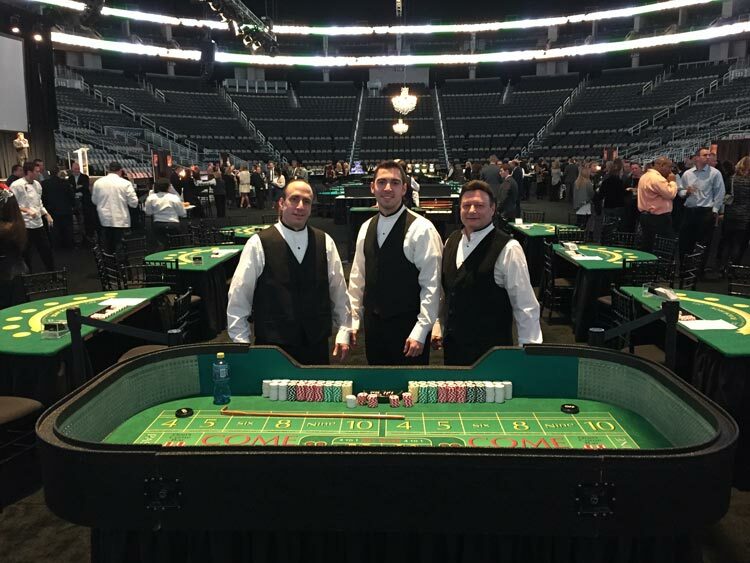 Our Casino event can be customized specifically for any type of event or theme. 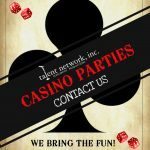 We can provide party novelties (theme hats, colorful beads, sheriff badges, grass skirts, leis, etc.) 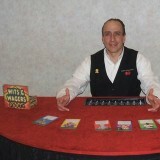 Let us create a fantasy night of gaming entertainment and fun for your next event! 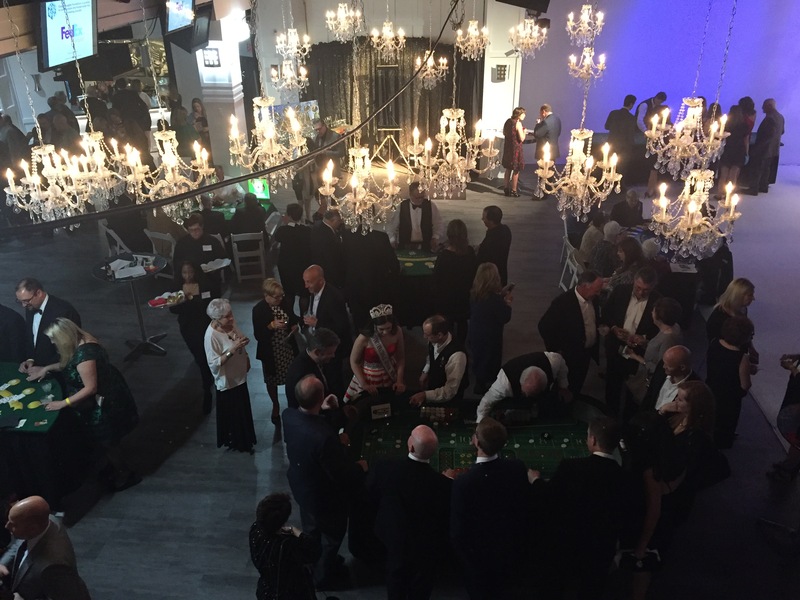 Interested in a Monte Carlo Night? 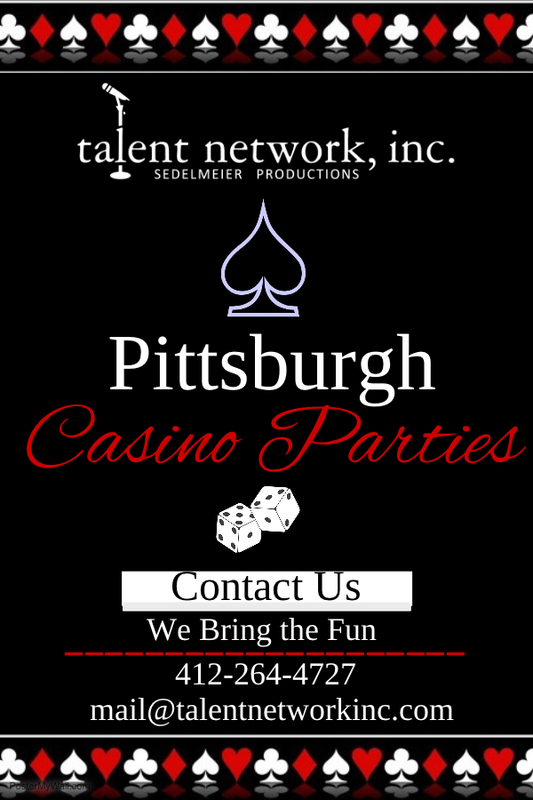 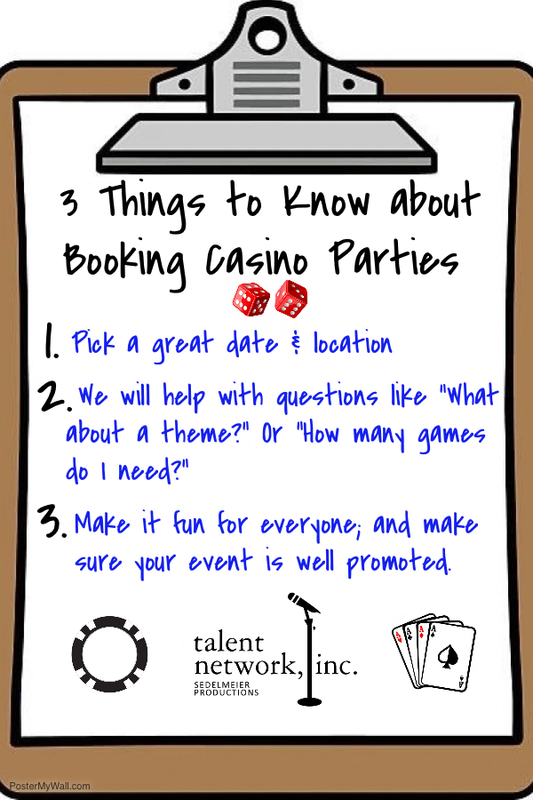 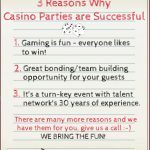 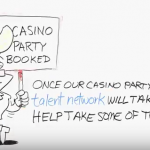 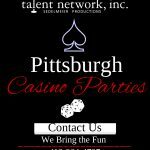 Just answer these questions and email us at mail@talentnetworkinc.com to start planning your own Casino Night Party! 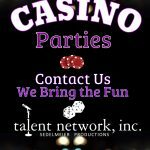 • Date of your event? 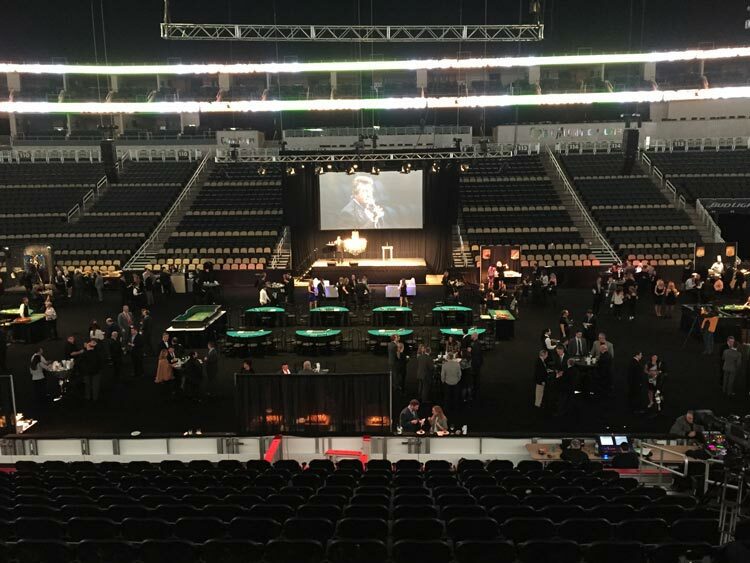 • Approximate amount of people? 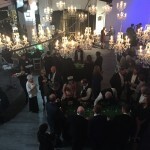 • Is the event a fundraiser or for fun? 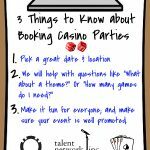 • Time of your event? 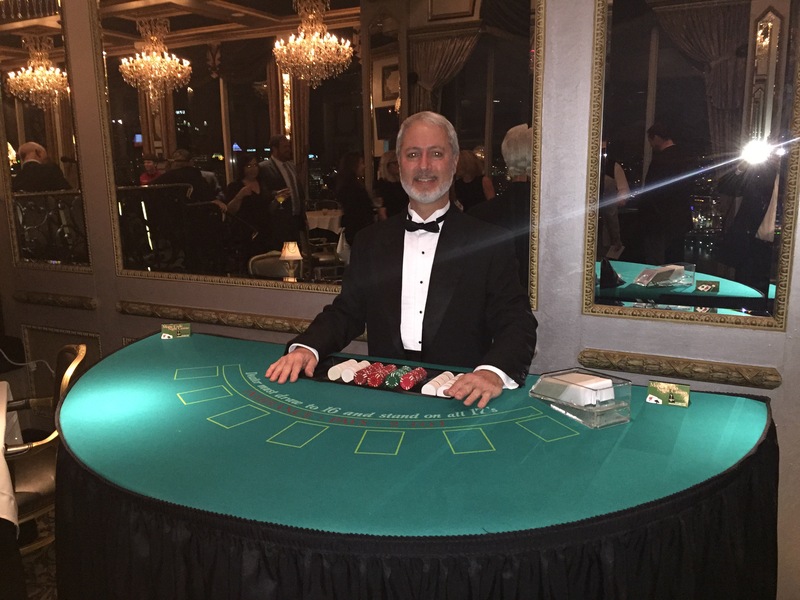 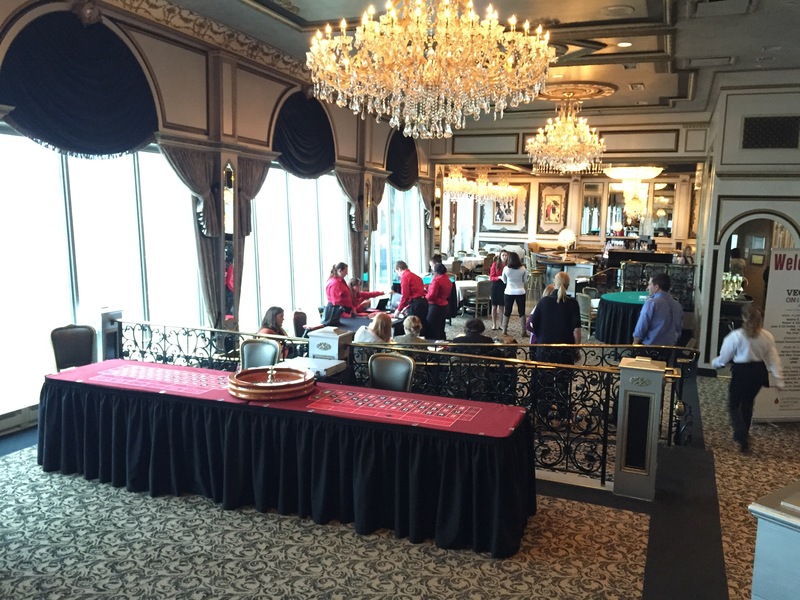 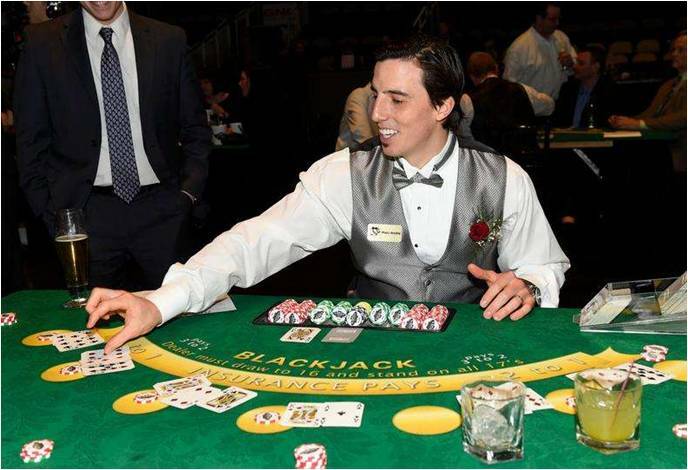 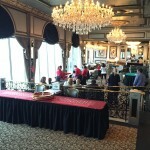 (Our Monte Carlo Nights typically run for a 2-hour dealing time). 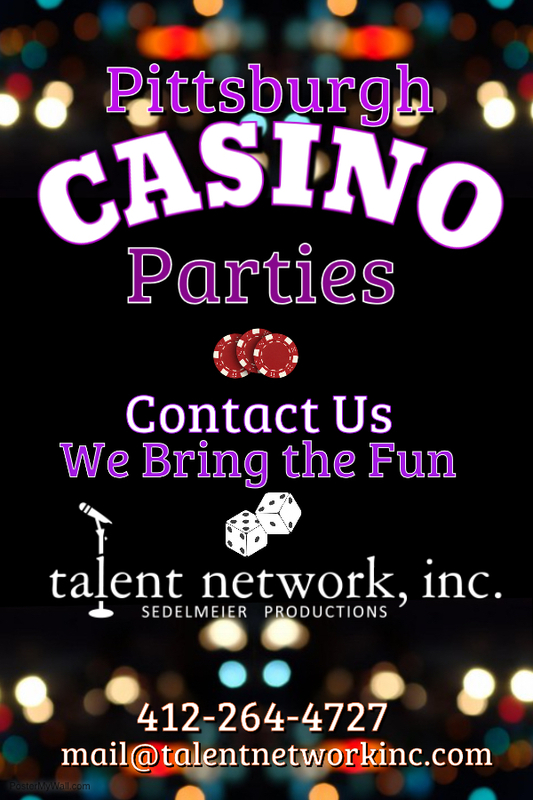 • Email / Number to contact you?